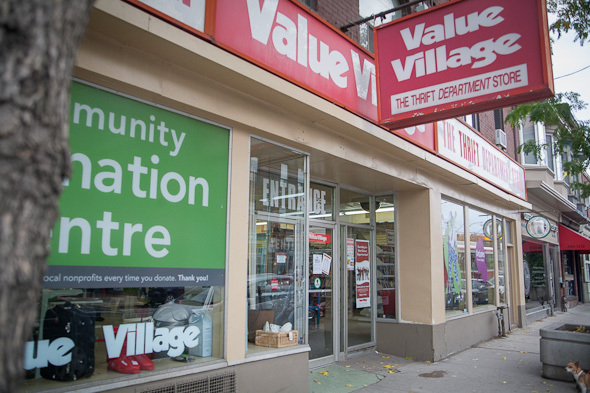 Value Village has always been a personal favourite of mine for Halloween shopping. 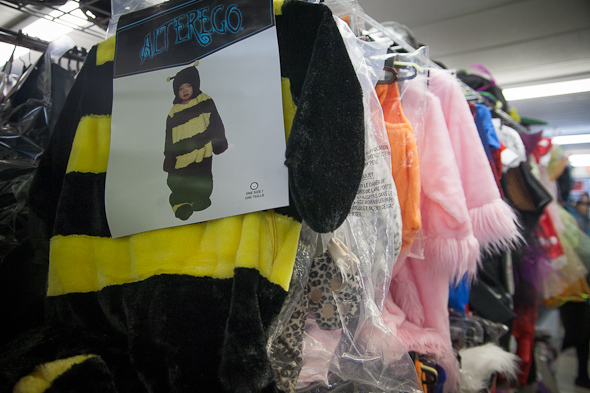 My recent visit to the Queen East location reminded me of my university days where I would try to put together costumes in-store the day of the big Halloween party. I would typically resort to DIY versions of the redneck (cut off jean shorts and a crop top advertising for black ice) or trying to turn a plaid tablecloth into a William Wallace Ă la Braveheart. 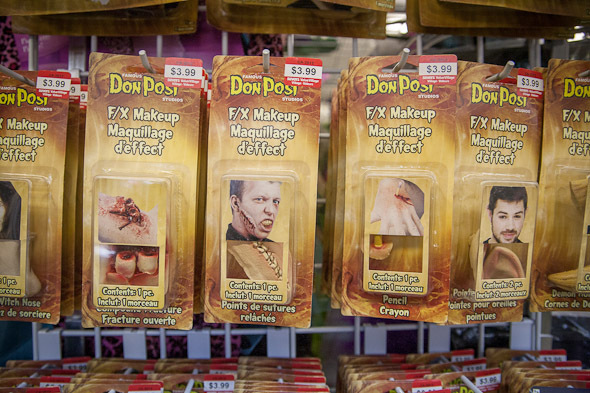 However, Value Village also offers a collection of new Halloween costumes. 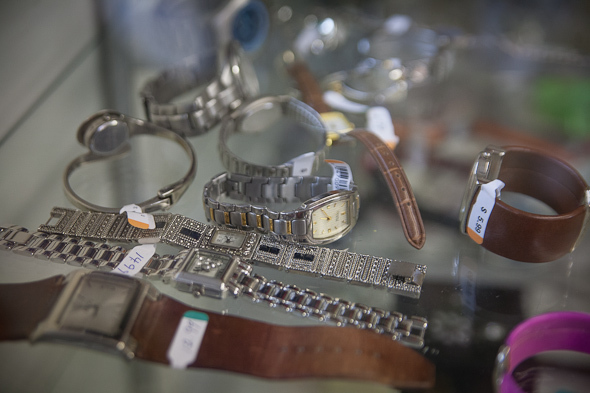 Value Village's selection is quite limited for adults, but their children selection is decent. 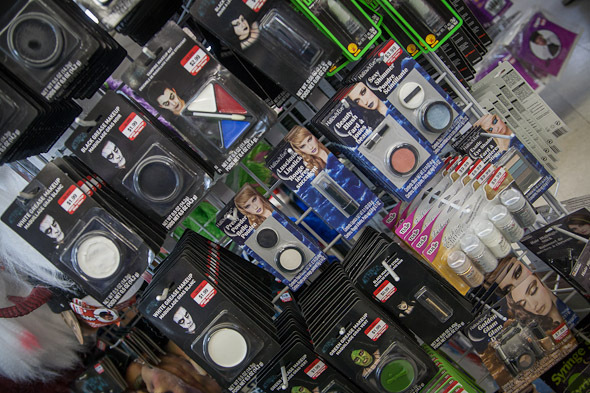 They carry all of the Halloween classics including firemen, vampires, ghosts, princesses, and Harry Potter. My favourite is an inflatable soccer ball costume for infants. 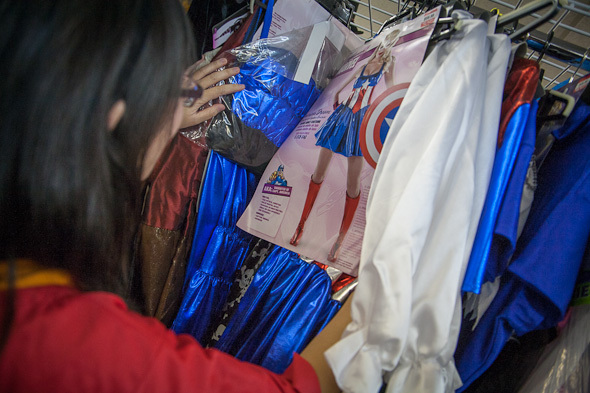 These costumes range in price anywhere from $15 to $60. 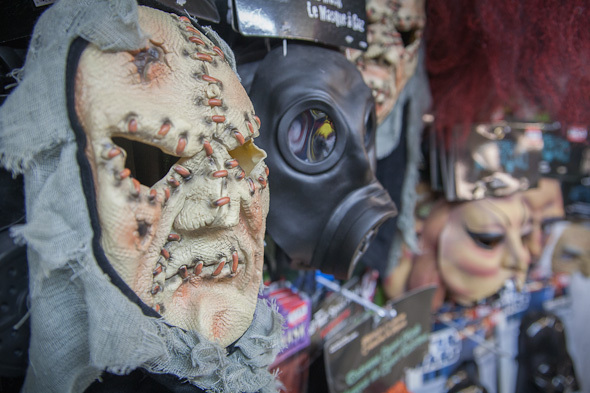 Value Village also has a couple of racks with an array of masks, make up and face paint. 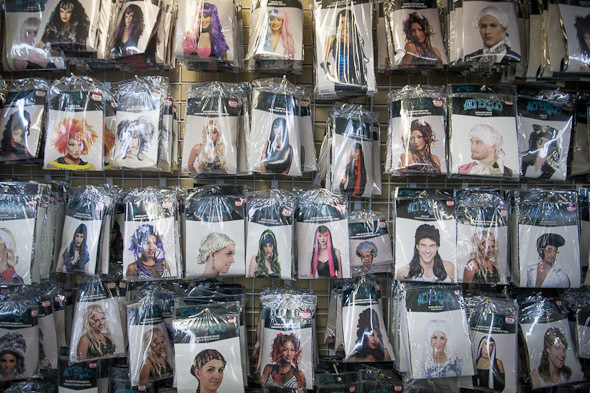 On another rack, there is a collection of wigs in different styles all priced around $15. 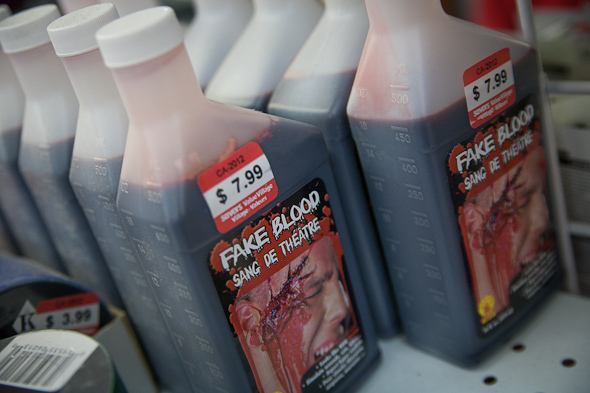 Value Village also has a section where you will find a collection of various props- including plastic body parts, swords, guns, and blivets (devil's fork). 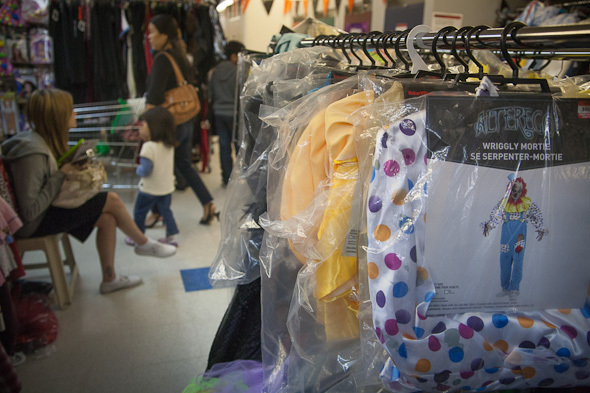 All in all I'm not overly impressed with the Halloween specific costumes that Value Village offers, however their prices are reasonable. 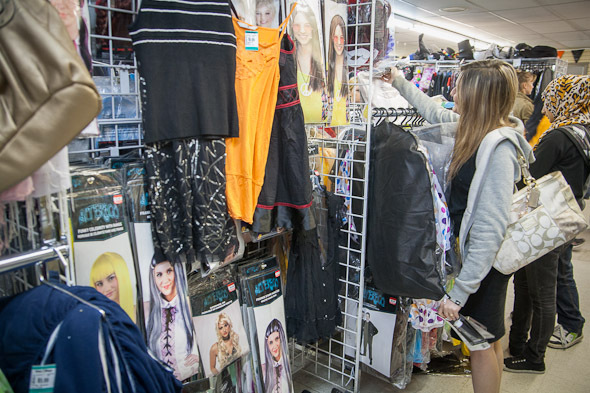 For those who are little bit creative, Value Village does allow one to mix and match new and used items to create a one of a kind costume for under $30.